Looks like Ive found a nice cheap set of wheels so the splits will be for sale again. Most likely wheels only. Not related to this thread but found this old video of my RS4 so thought Id share. Two boys in the boot were because it was a bit squirelly under power. What power is it making Graeme? I used to put all my cars on the rollers to check they were making proper power. It's an anxious few seconds though while they're screaming at full chat. That day was pretty much bang on 500bhp, but probably closer to 490bhp Id say with my spec. Not bad for an old estate. Had a run in with a new RS6 the other week, he was not gapping me. Love it as its totally different to the 996. 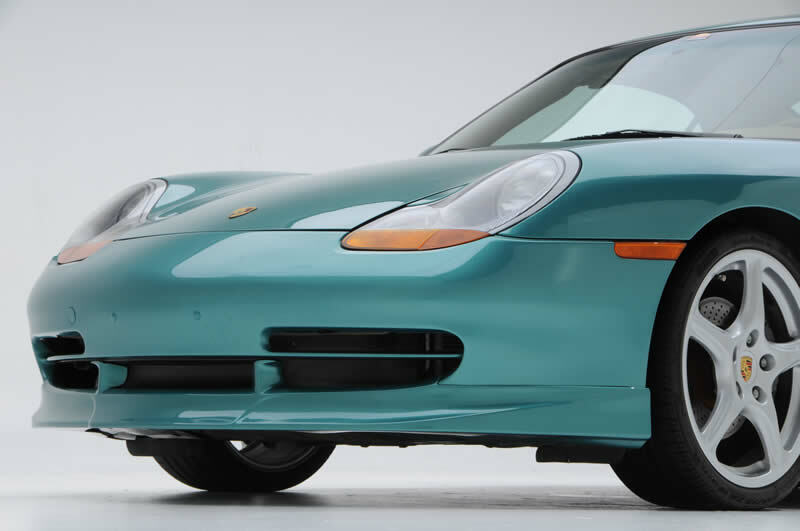 Regards the 996 Im still swithering on bumpers, Im swaying away from anything fiberglass now but cant really afford genuine. I've never had an Audi even though most my mates have. They're on my radar these days as I couldn't be without an estate car now. A pal in my village has an RS6. It's been for a stage 2 at some company with three letters in its name (excuse the complete noob terminology here ). He was telling me when I first met him and said it had 730bhp. Obviously my bullsh*t-o-meter went into overdrive but a bit of googling proved me wrong. 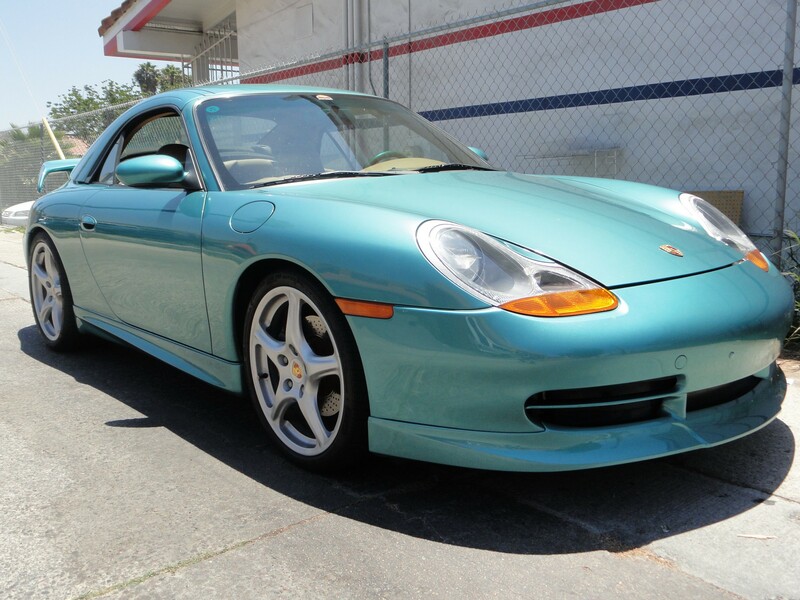 I fancy it when he sells but I always worry it would make my 996 feel slow and pointless. I'd just keep doing what you're doing with your car. Perfect little bits and just gather parts as they come up. It looks cool how it is so I wouldn't be busting a gut for an Aerokit. I wouldn't care though I sold a spare Mk1 aerokit bumper for £180. It had a split underneath but nothing that couldn't be plastic welded. I also have a spare set of skirts but I'm keeping those and you have your mk2 ones anyway. Before I went aero I pondered on some sort of splitter to make the standard bumper a bit more aggressive. Could be tricky to stop it looking a bit Halfords though. I'm sure you'll get there. Sounds like MRC for the RS, they are pretty much the gurus. I want to take my time but also want to get it fixed soon. I have found a front lip for std bumper that is PU so flexible to an extent. It looks okay and will tie in with side skirts but questioning the aero kit again. Just not sure. Only photo I can find are of bright colours! Of all the aftermarket bumper attachments I’ve seen, that looks the best. Same company I bought the ducktail. It's black as standard. It's fairly expensive but it does look very OEM I thought. Kind of half MK2 and MK1. A neighbour had an RS6, the V10 one. Was tuned up, with a stupid Milltek exhaust. Sounded dreadful, a loud, characterless and annoying flat boom at idle, not a lot better on the road either. Went well though. Yeah the V-10 ones do sound a little flat. TBH I don't really like the noise the newer ones make either. Another couple of photos of that front lip with Mk2 skirts this time. I think it would work well but I keep changing my mind. Not sure its all getting a bit cobbled together look though. Easy thing is if I don't like it then fairly simple to reverse it. That doesn't look half bad actually. I think as long as you get the nose of the car sitting low enough it should look ok. The standard ride heights on the cars in the pic leave a bit of a gap under still, sort of like mine at the moment as I haven't added my splitter yet. I'd go for that if it was upto £150. Anything more and I think I'd wait and get an Aerokit bumper for £300-£600. MRC rings a bell for the RS6 yes. It does sound tuneless, I agree. I'd hoped it would sound better being an adaption of the Gallardo engine but it's not as wow as the power figures would suggest. One hell of a daily car though. I wish I could find a bumper for that, only seen two for sale and both were badly damaged and asking more than that. This is my current personal favourite - looks like a bargain! A snip at £750. I think that's the rare lightweight Motorsport one, constructed from Porsche racing duct tape. Worth a tenth of a second a lap alone. The one I sold for £180 reappeared for some silly figure like £500. It was a fair price at £180. 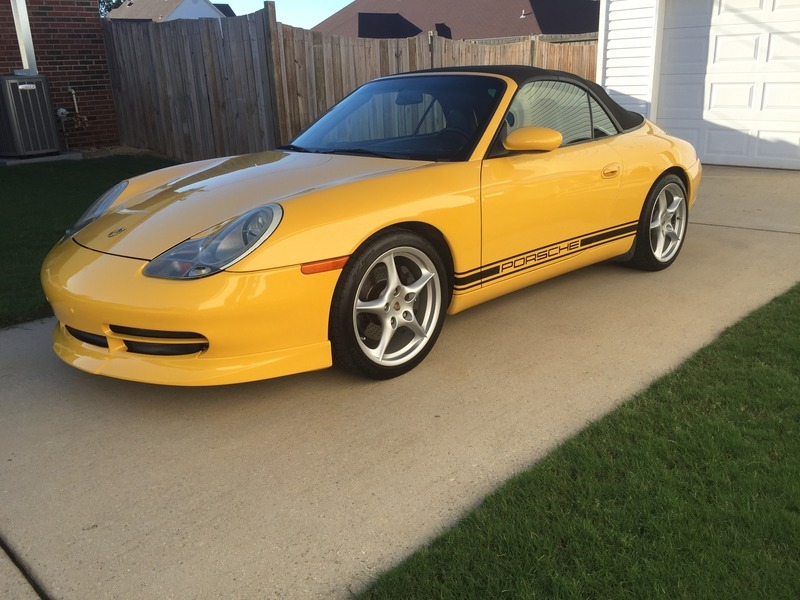 Why do chancers think Porsche owners are stupid with their money. It was black with a long crack on and around the chin area where it went over something. All the rest (front, sides and top) just had light scratches. It would have plastic welded perfectly. It's a pity people try and take the piss. I actually really like those mk2 look ones but that fit the Mk1 headlights. Blatantly not oem though and for some daft reason I've really turned into a purist these last few years.... yet only on certain things. It's weird, I'll fit a set of blantantly aftermarket suspension, seats and steering wheel, yet my teeth itch when I see LED bulbs in a car that's meant to have halogen. Have to admit I'm going that way, I think it's the OEM look. Subtle is the key. Exterior in main terms as that's what most people see. Inside or underneath is hidden. Picked up a set of Panamera wheels again so if the splits sell I have another set to run. Fitted this morning and really like them. They look great. You might be on to something there! 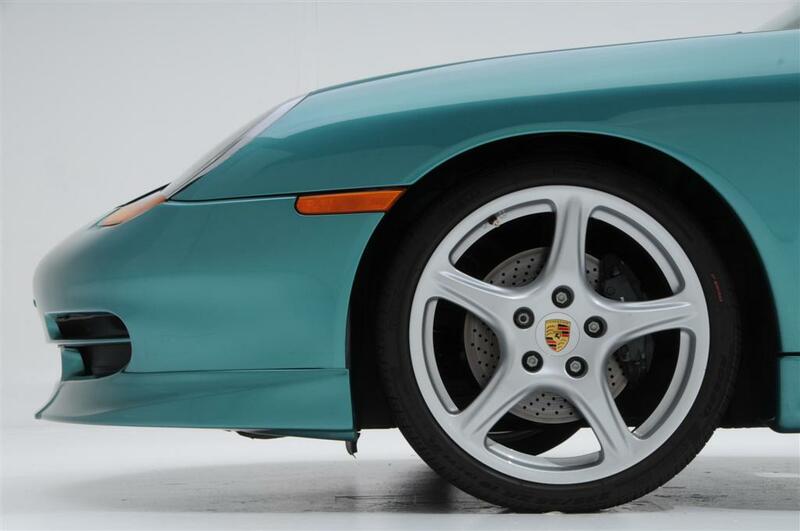 How do panamera wheels compare fitment wise? Looking online it seems the rears are 9” wide and the fronts would need spacers. What was your experience?